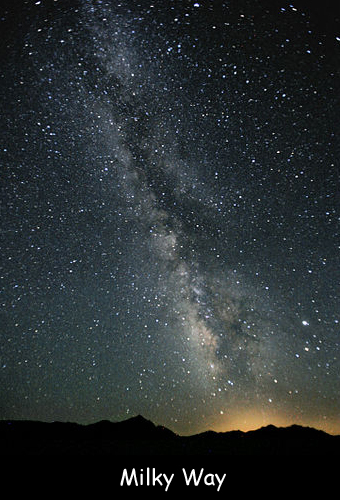 The Milky Way Galaxy is an immense place measuring approximately 120,000 – 180,000 light years in diameter. It is the home galaxy of humanity in the universe. It is a typical barred spiral, not very much different from other galaxies. There are approximately 200 globular clusters outside the main spiral of the Milky Way. Each cluster contains up to 1 million stars. A star or any object must reach a speed of 1 million mph faster than the 600,000 mph to leave the galaxy. Objects in the galaxy travel at a speed of 600,000 mph already. Our galaxy has a halo of dark matter making up more than 90% of its total mass. We are able to see just 10% of the galaxy’s entire mass. HD 140283 is the oldest star in the galaxy with an age of 13.6 billion years. It is also known as Methuselah Star. Our galaxy is a part of an even larger galactic structure called Virgo Super cluster. The galaxy is a moving relative to the Cosmic Microwave Background (CMB) radiation which was left over from the Big Bang. Famous astronomer Edwin Hubble is credited with discovering the shape and scope of our galaxy. Our Solar System orbits the galaxy’s center at a speed of about 82700 kph. Declan, Tobin. " Fun Facts for Kids about Milky Way ." Easy Science for Kids, Apr 2019. Web. 23 Apr 2019. < https://easyscienceforkids.com/milky-way/ >.